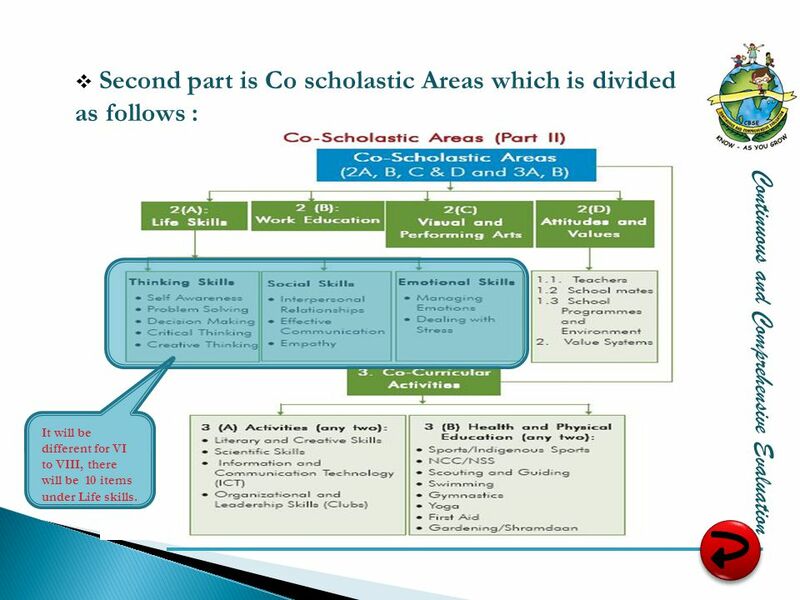 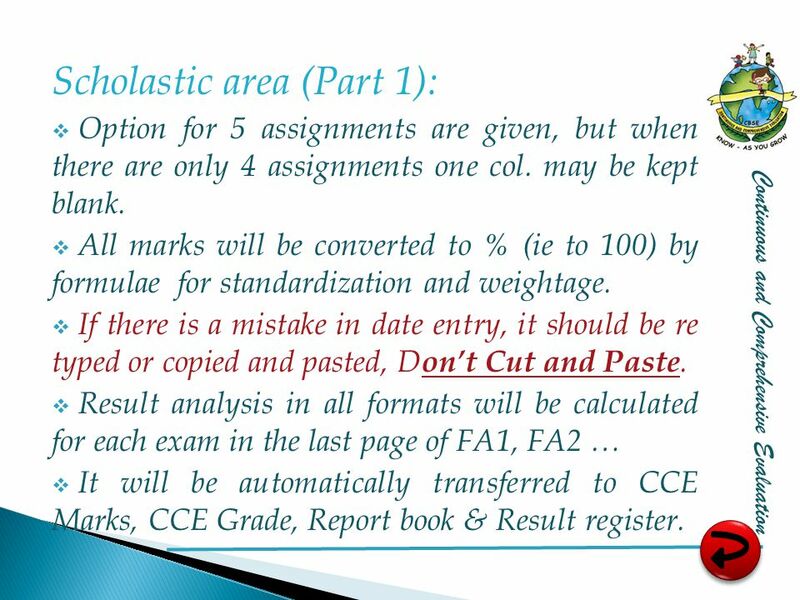 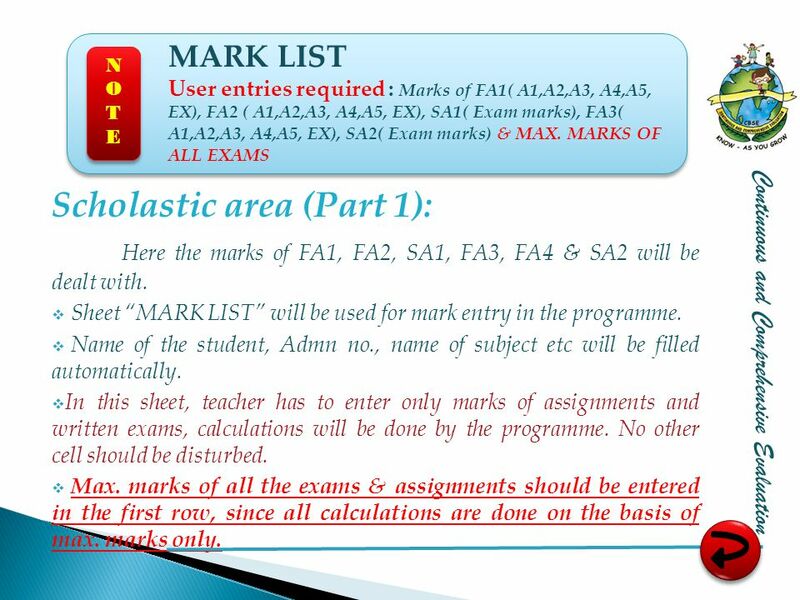 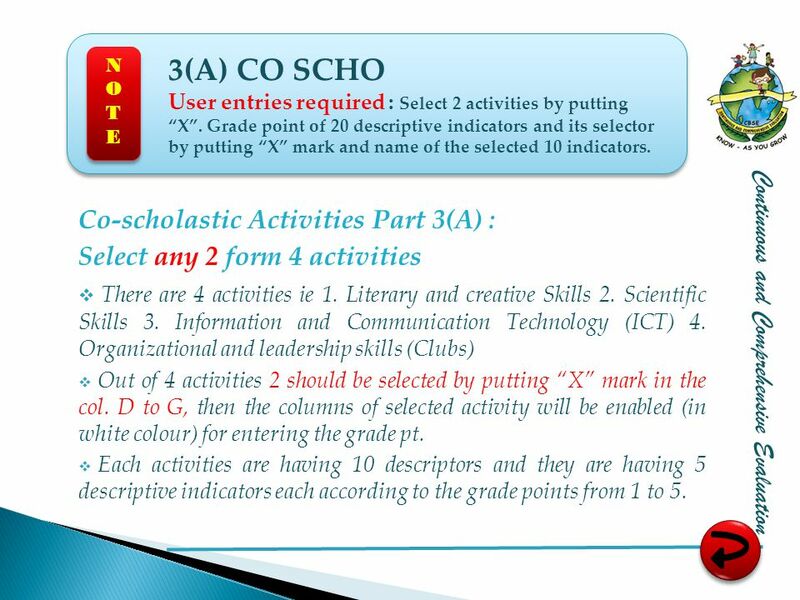 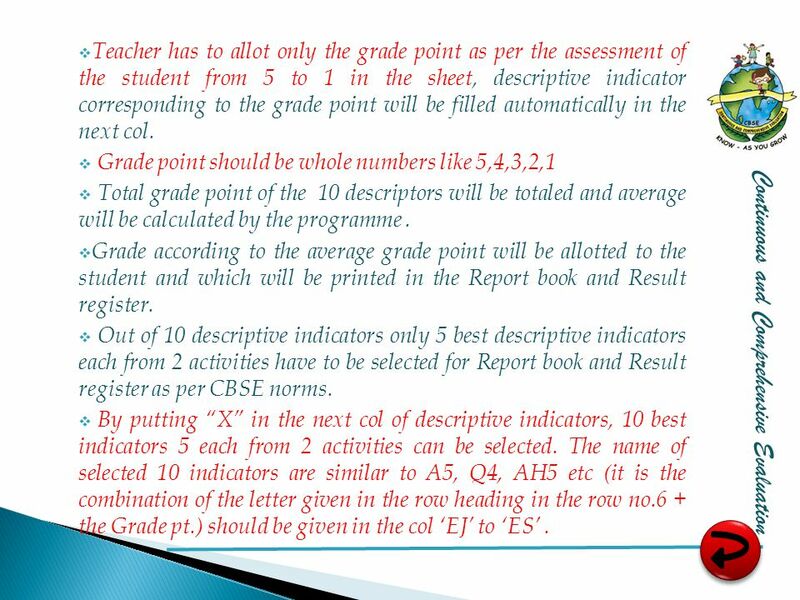 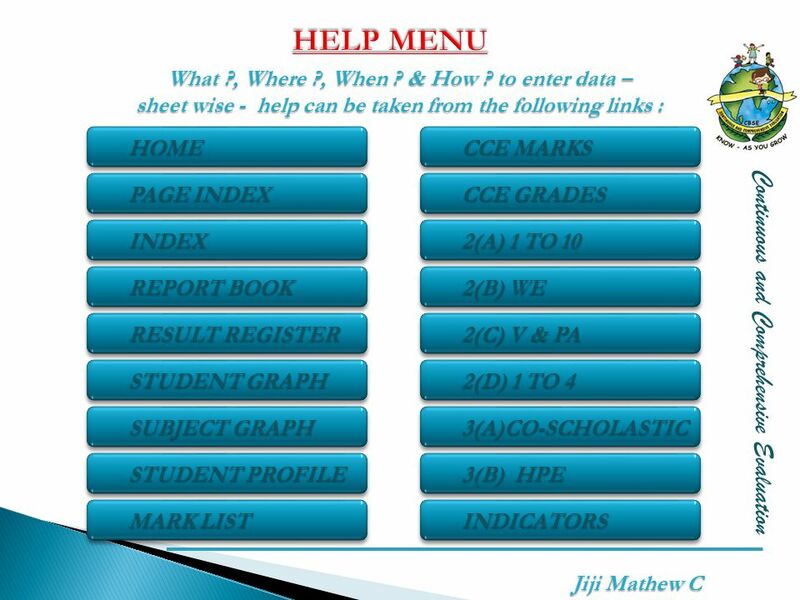 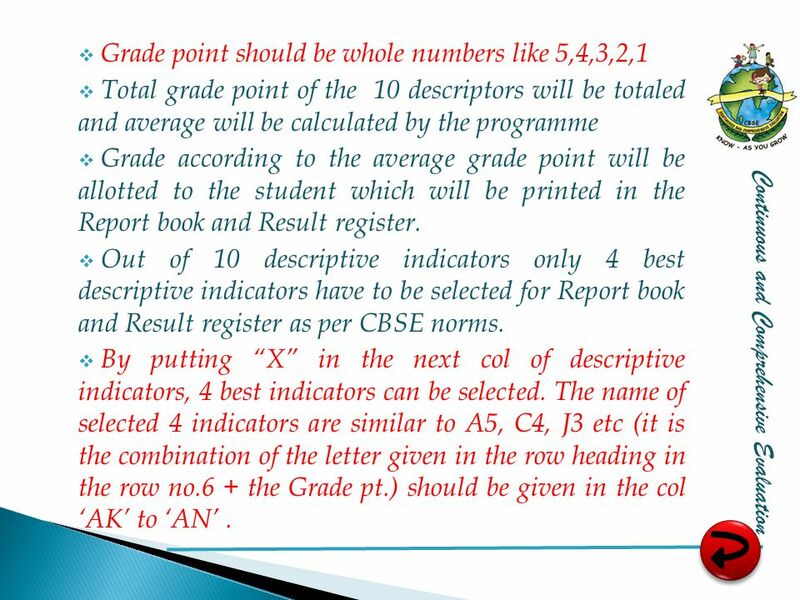 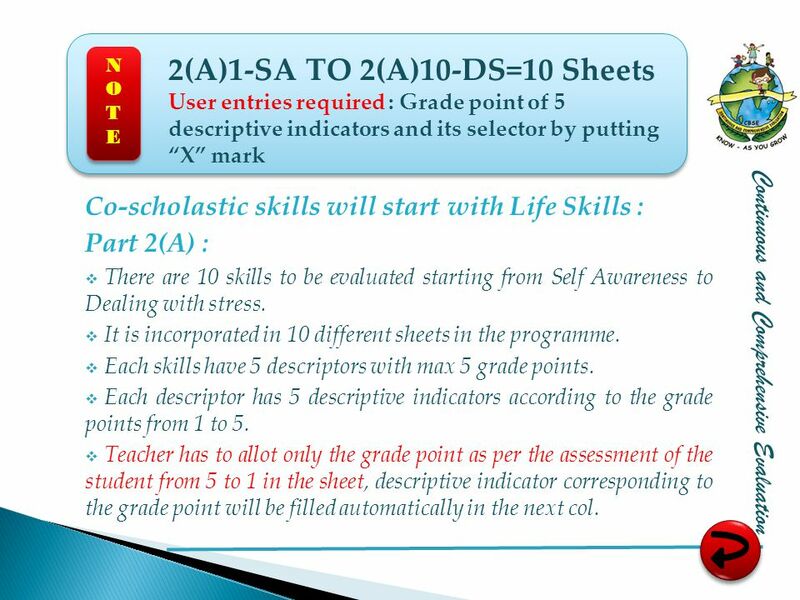 Enter only in the marks col.
Second part is Co scholastic Areas which is divided as follows : Continuous and Comprehensive Evaluation It will be different for VI to VIII, there will be 10 items under Life skills. 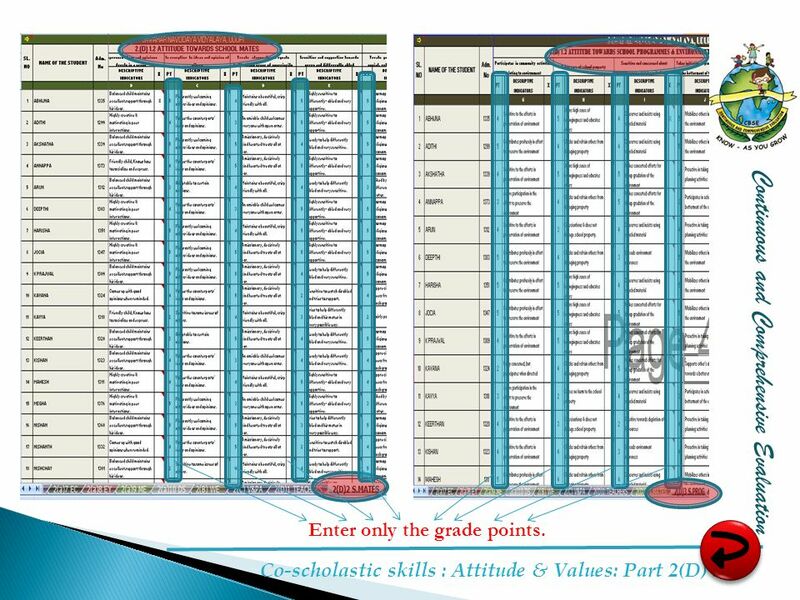 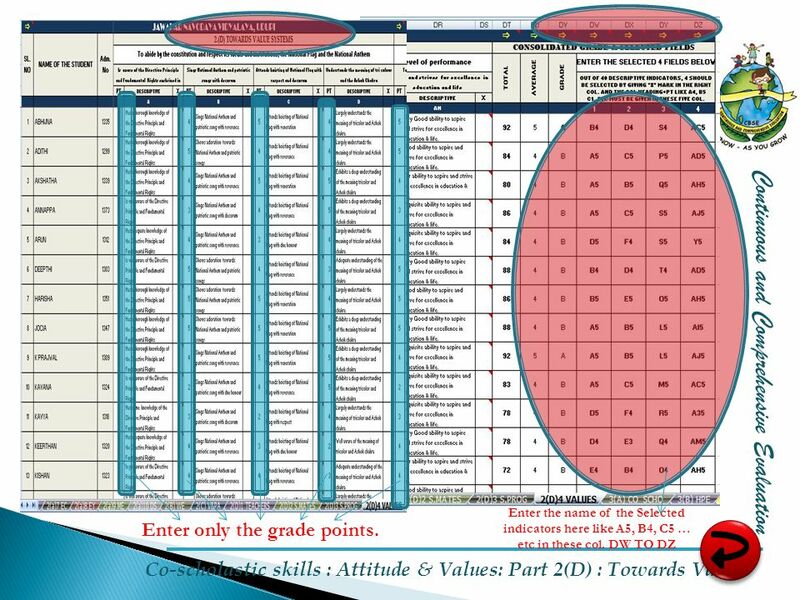 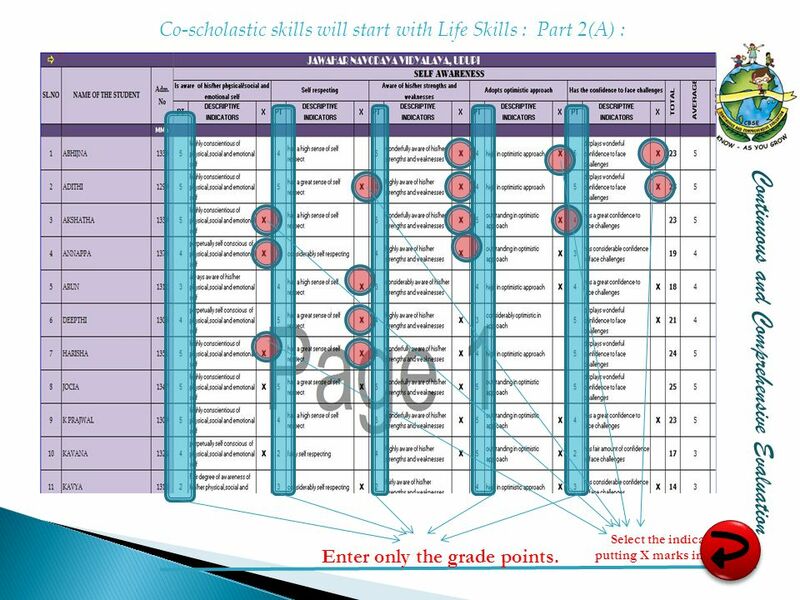 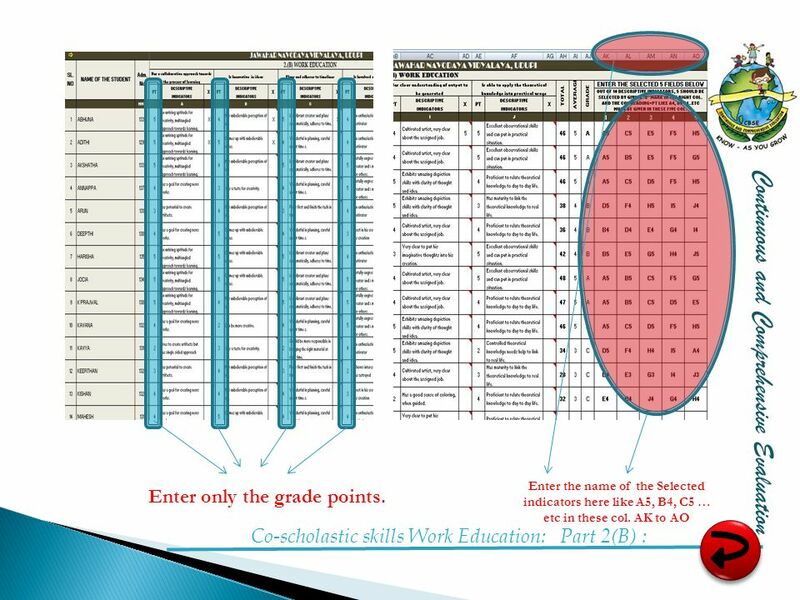 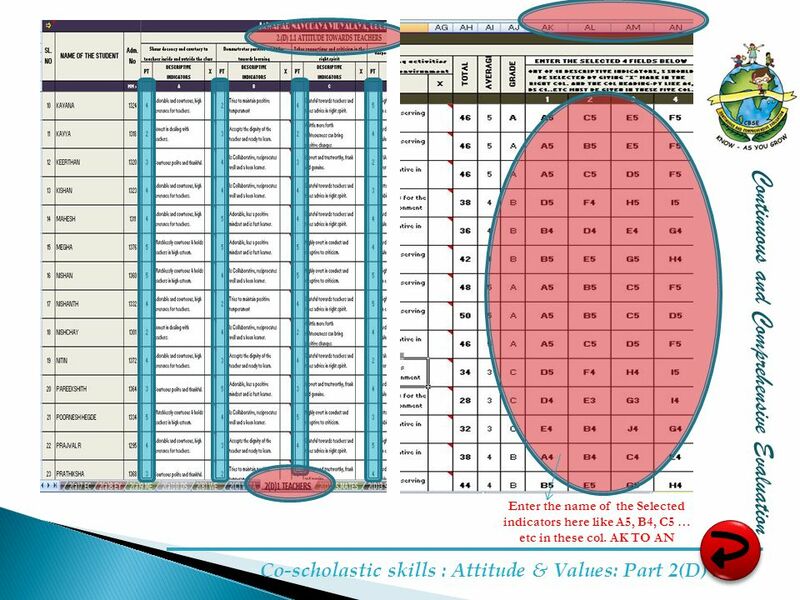 Co-scholastic skills will start with Life Skills : Part 2(A) : Continuous and Comprehensive Evaluation Select the indicators by putting X marks in these col. Enter only the grade points. 23 Enter only the grade points. 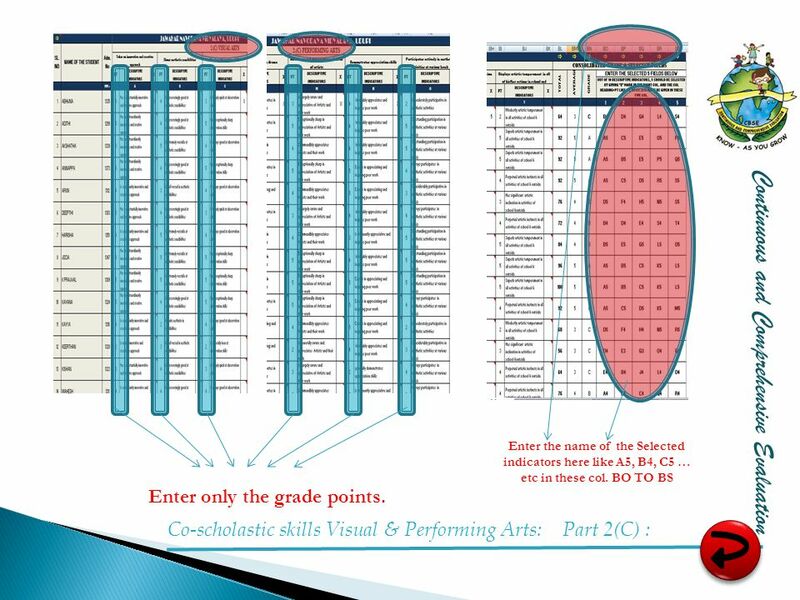 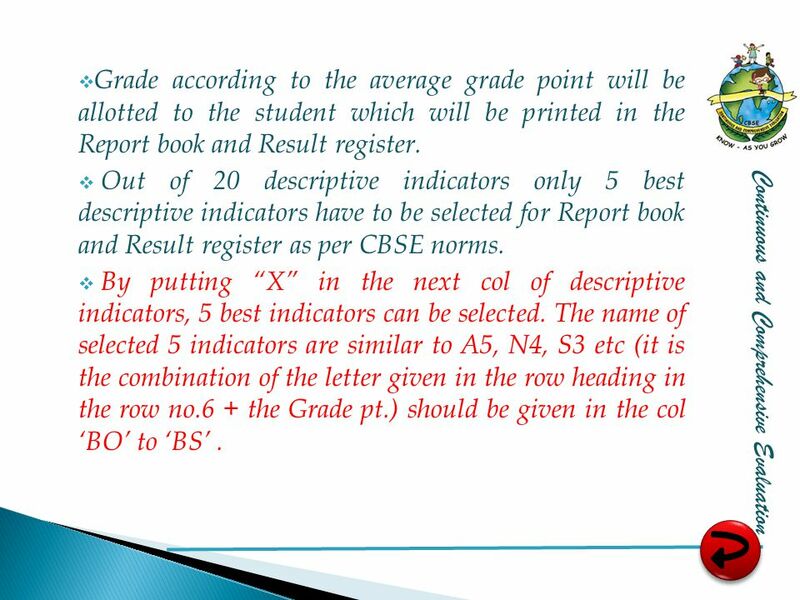 26 Enter only the grade points. 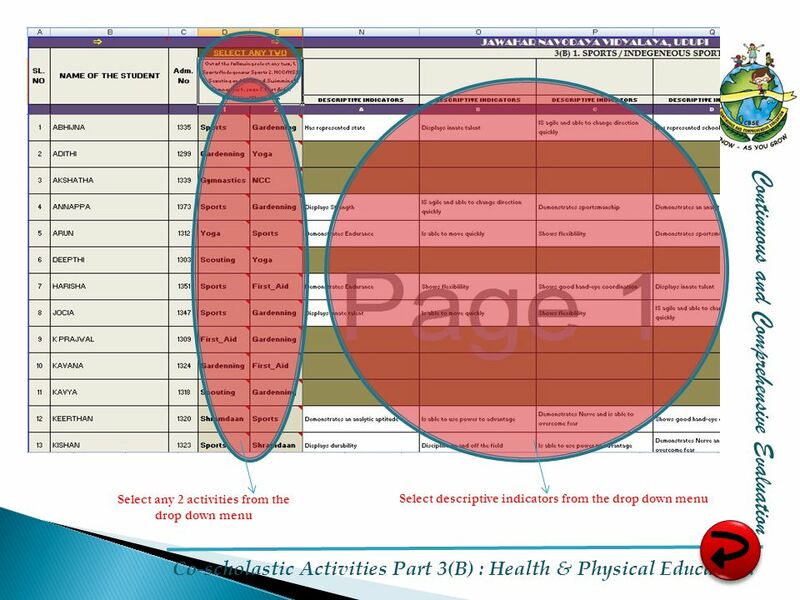 Select any 2 activities from the drop down menu Select descriptive indicators from the drop down menu Co-scholastic Activities Part 3(B) : Health & Physical Education. 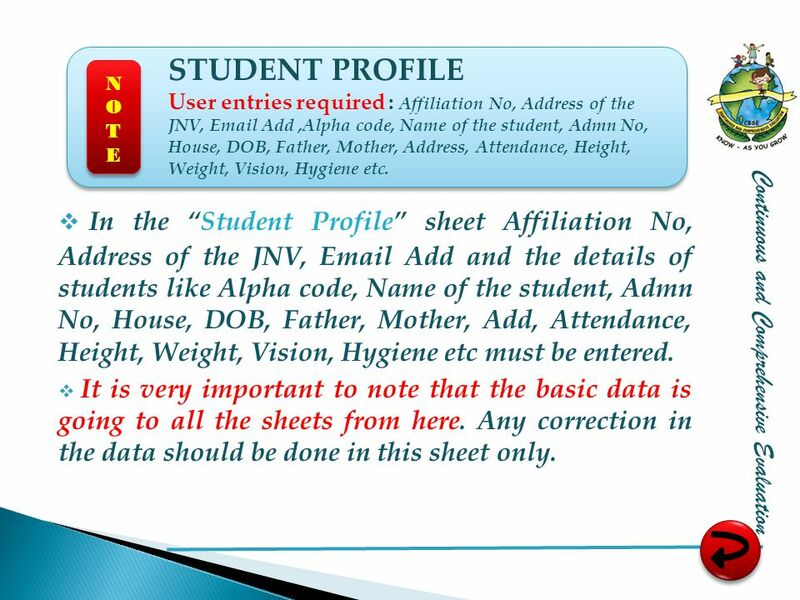 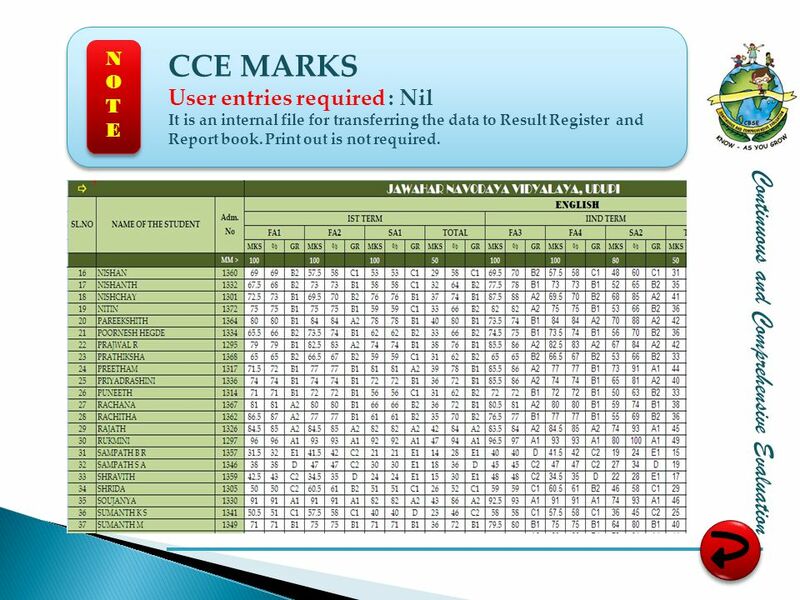 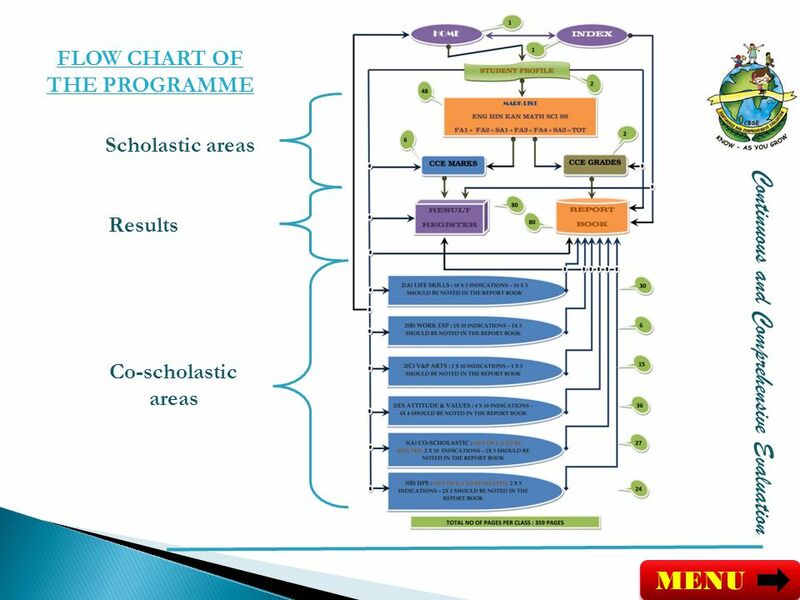 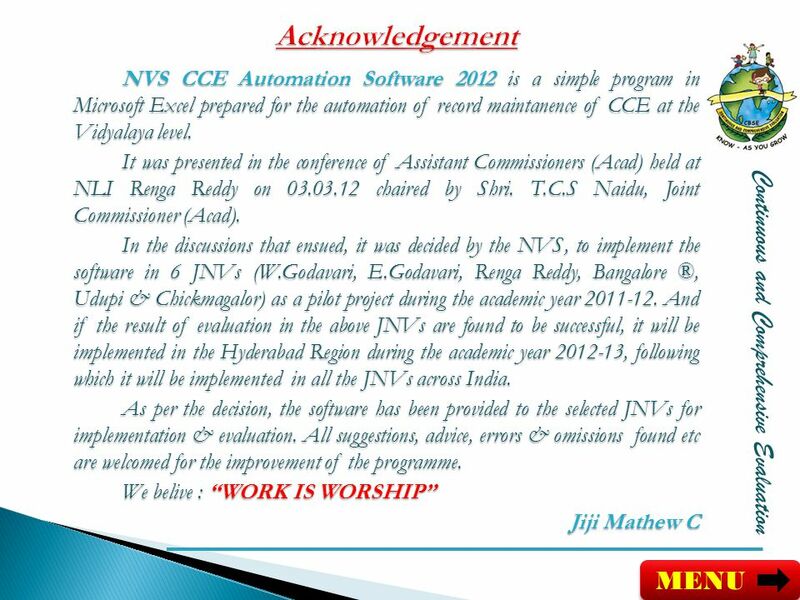 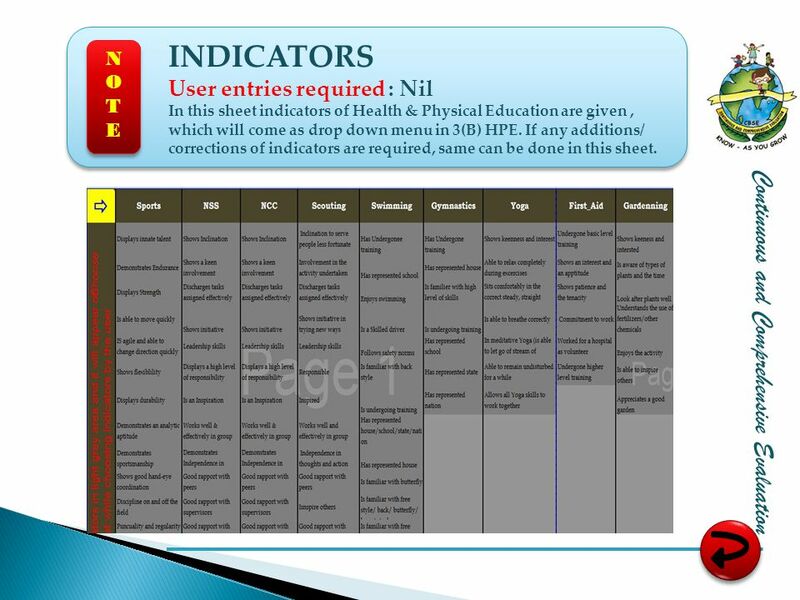 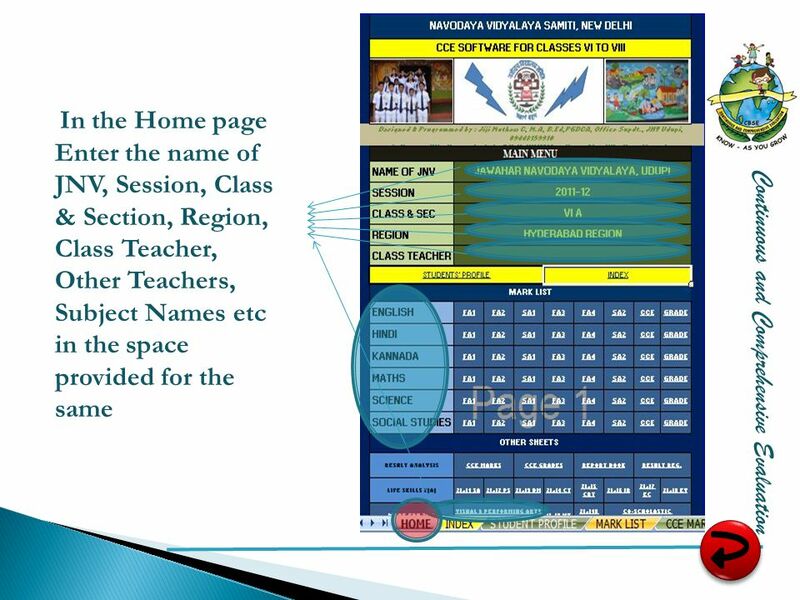 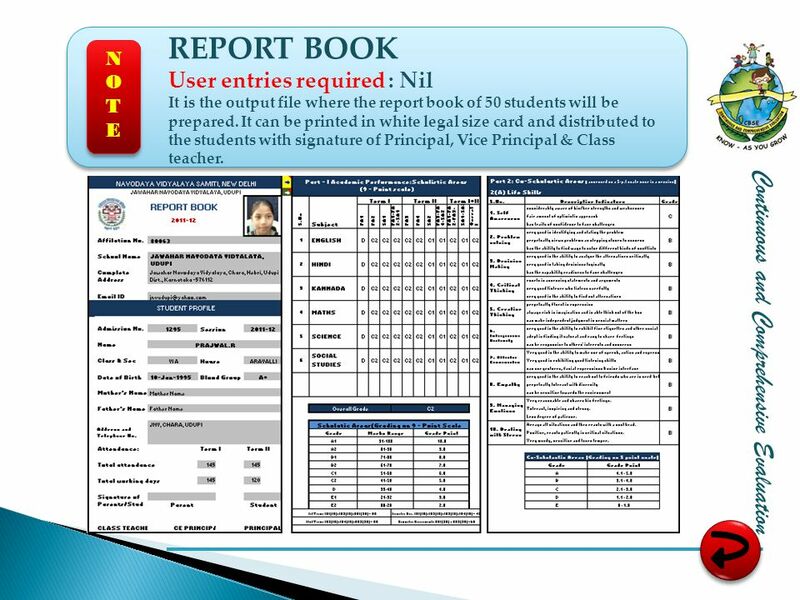 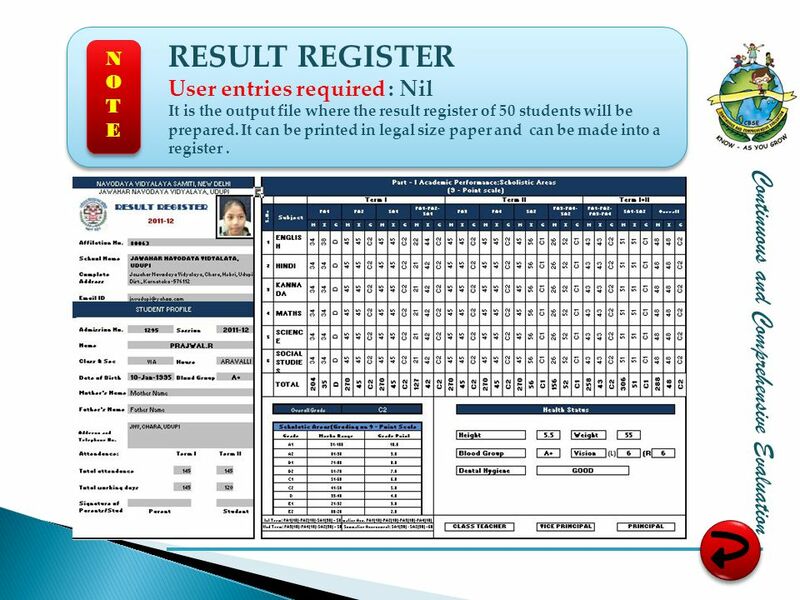 Download ppt "INSTRUCTION MANUAL NVS CCE Automation Software 2012"
Session: Students must be assessed to help: them know their strengths and weaknesses. 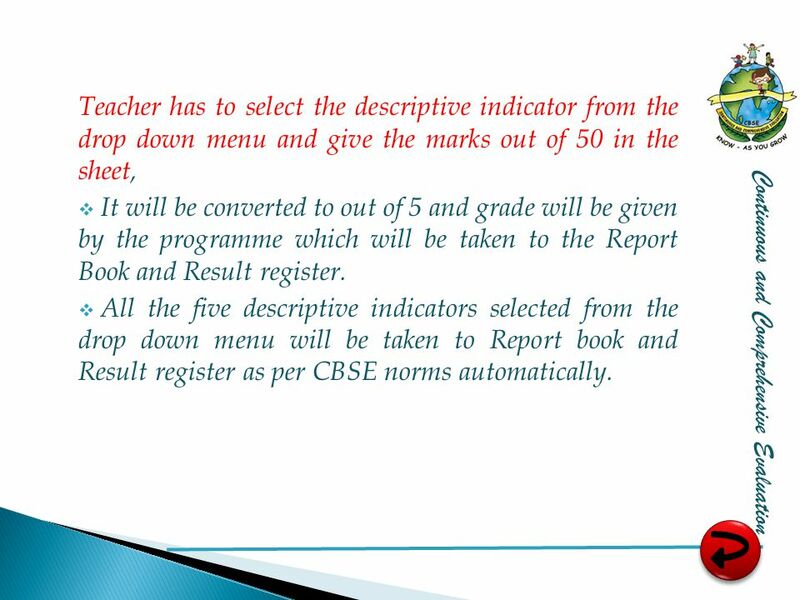 the teachers in carrying out remedial work with the students. 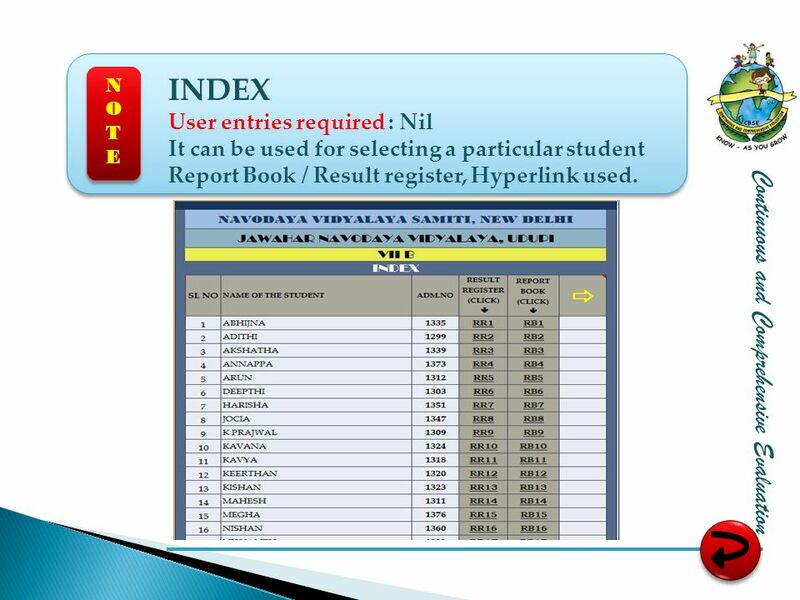 ANNEX B Mini Tutorial for Using the Department of Human Services’ (DHS) Electronic Budget Form. 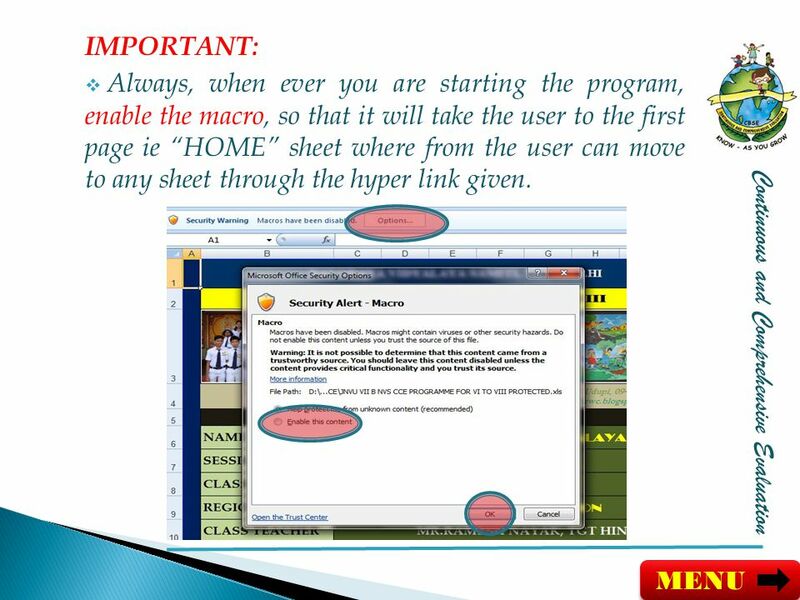 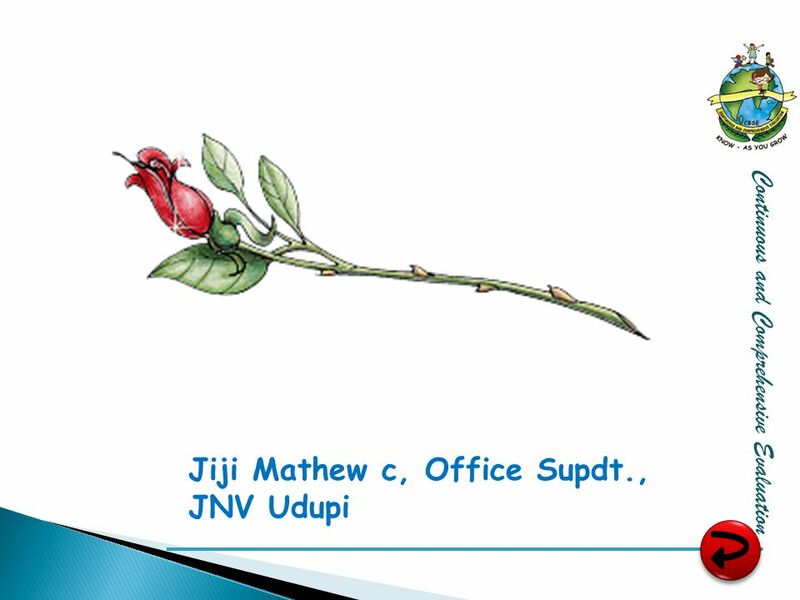 INFORMATION TECHNOLOGY Software Applications. 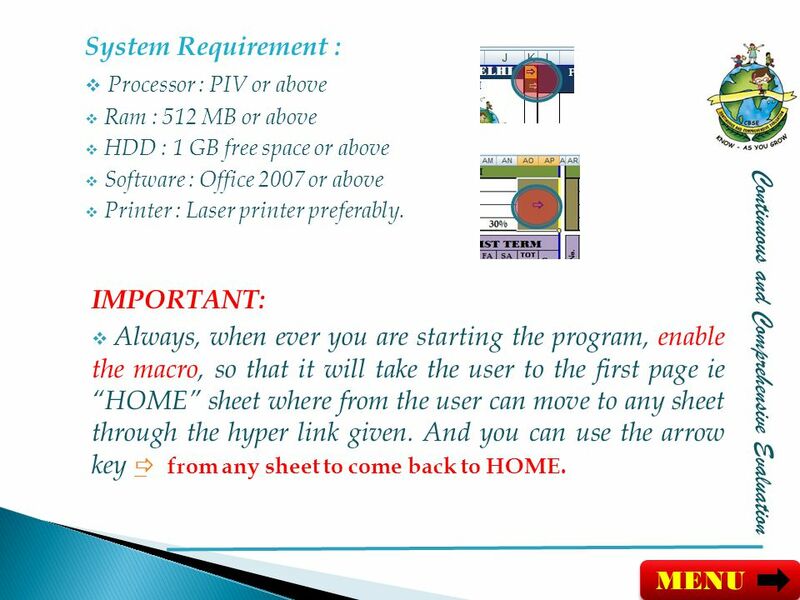 WORD PROCESSING WP is the most commonly used package in business. 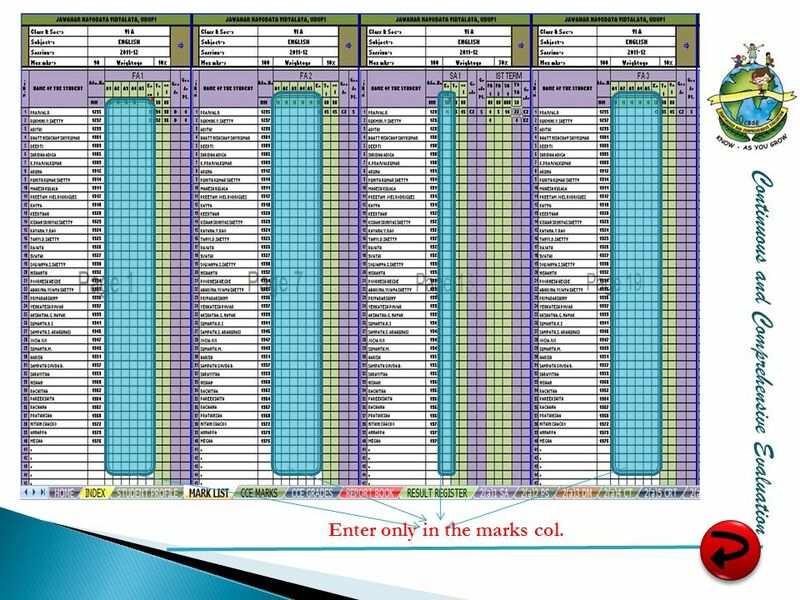 A large number of documents are produced. 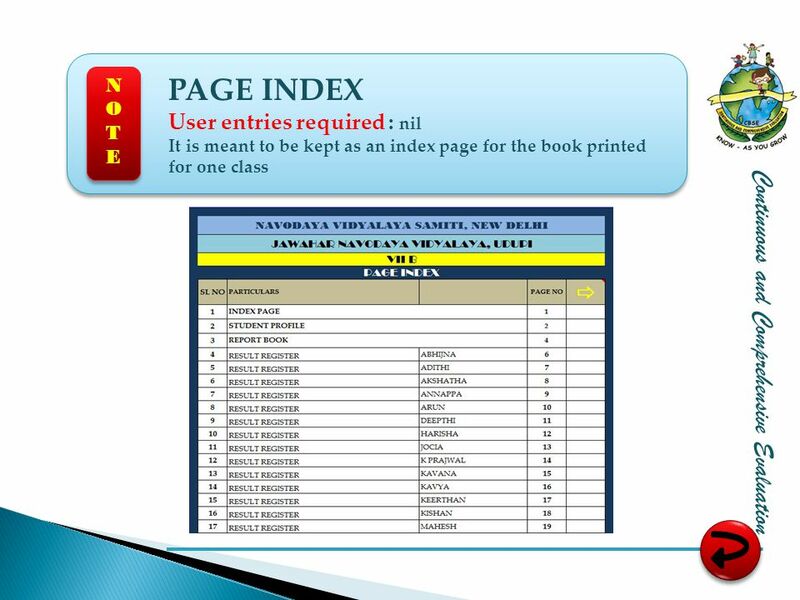 Create a new, blank work book. 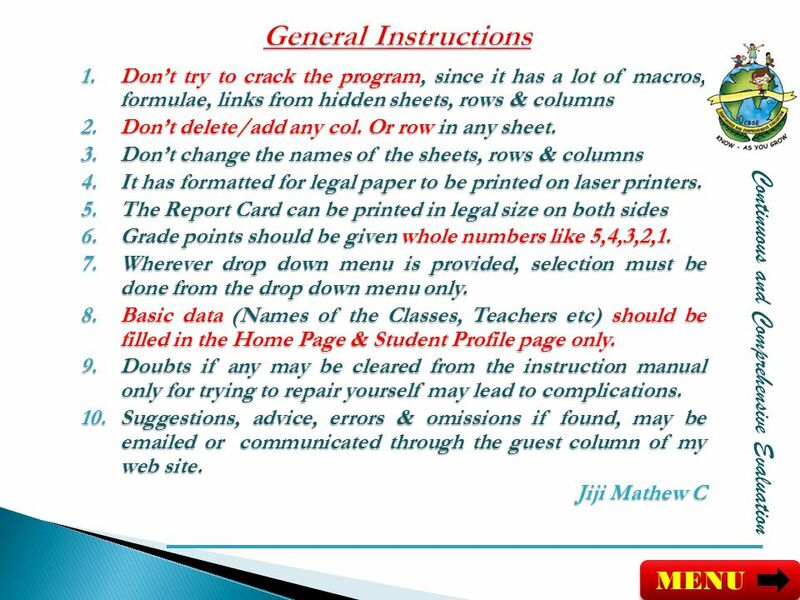 SUBMIT TRY AGAIN Open the ECDL.xls workbook that is in My Document folder. 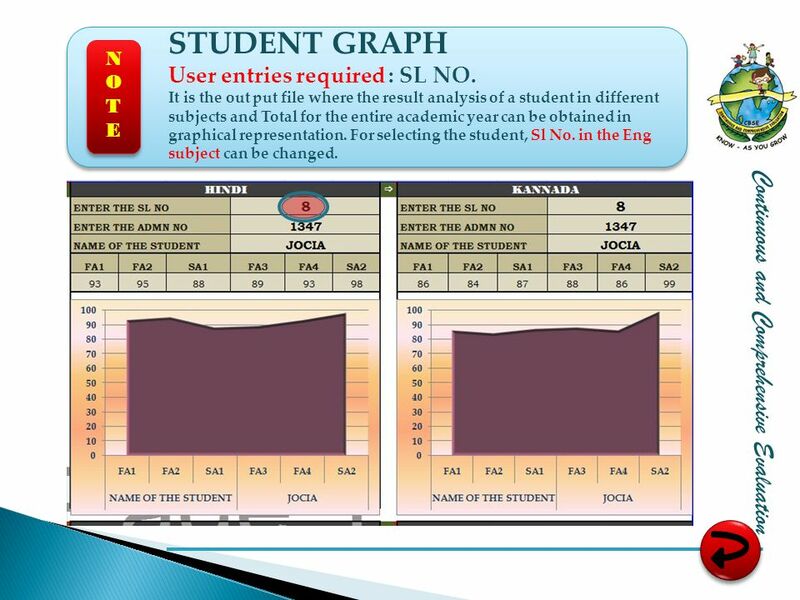 Created 09/01/2006 Revised SPS Technology Department 1 Introduction to Microsoft Excel 2010. JAVA Coursework (the same for 2A and 2B). 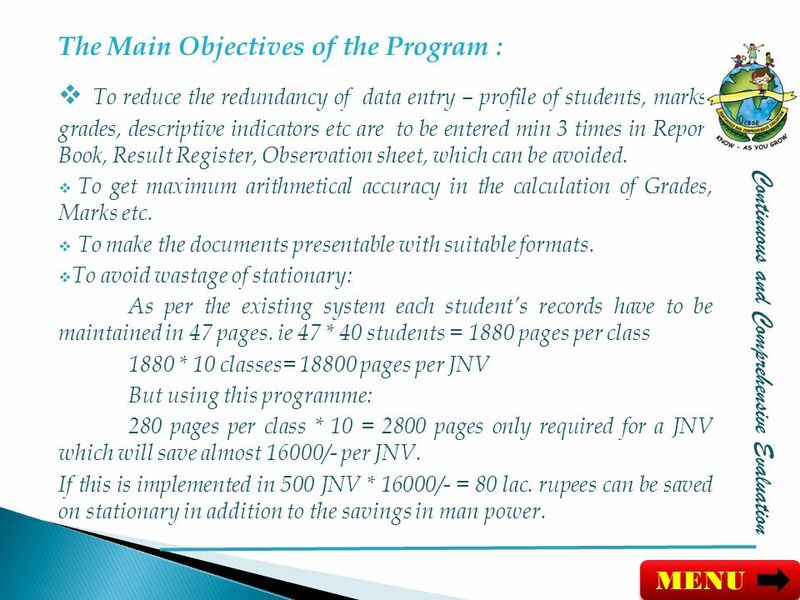 Fundamental Information The coursework is 30 marks in your O’Level = 15% of the exam Must be word processed. 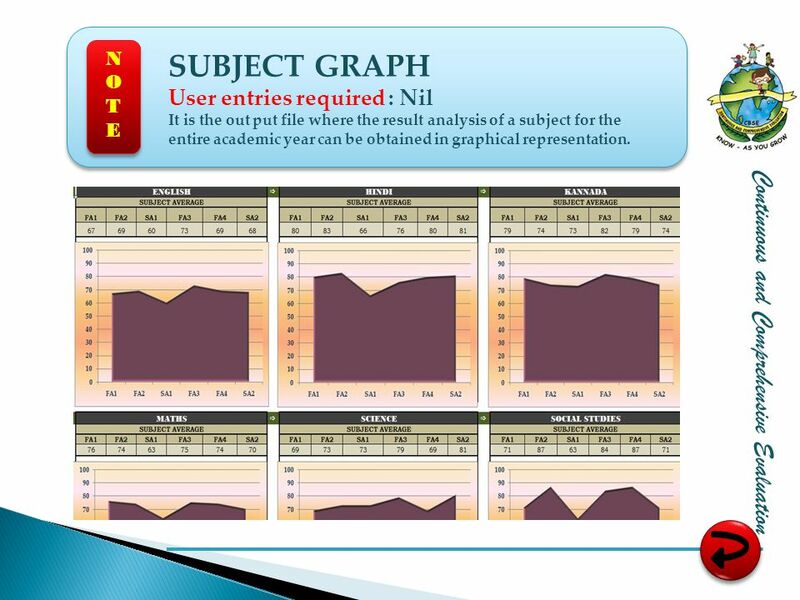 Exploring Office Grauer and Barber 1 Committed to Shaping the Next Generation of IT Experts. 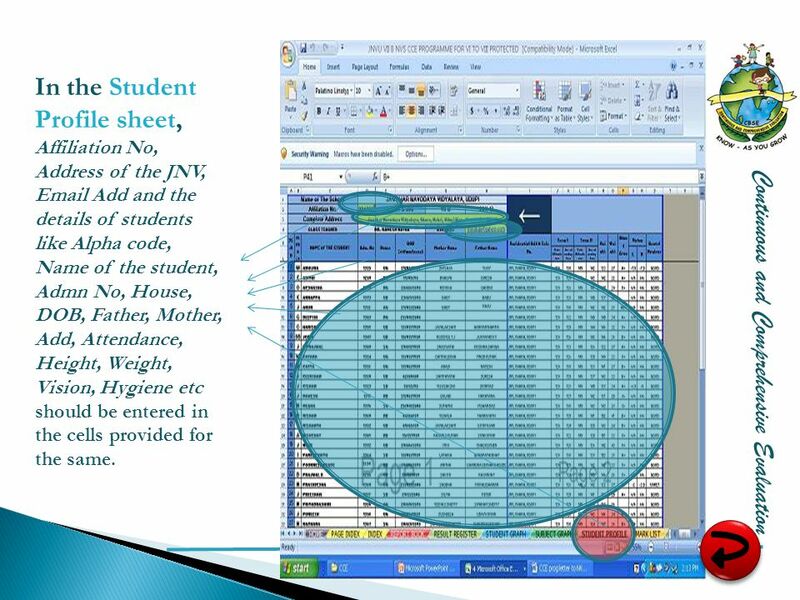 Chapter 1 – Introduction to Excel: What is a Spreadsheet? 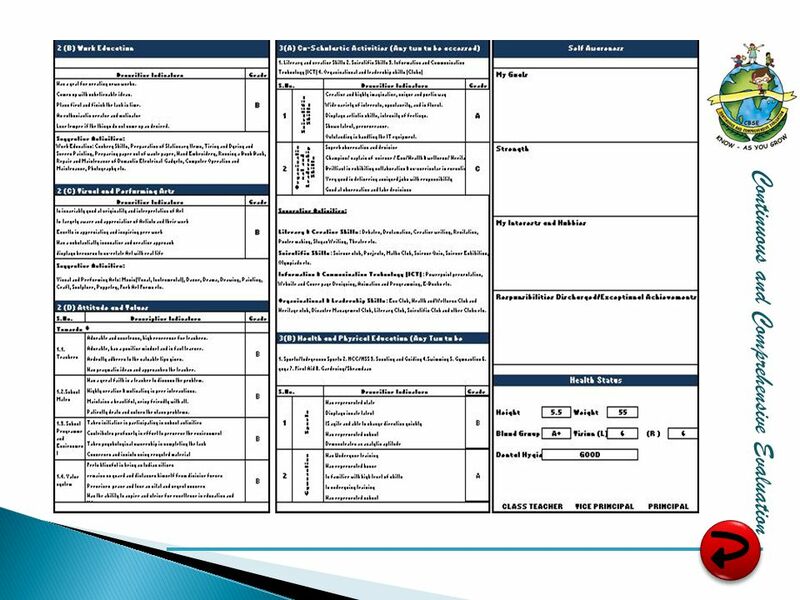 LAMS Legal Action Management System Seminar 1 SKIP TO 1.Overview of LAMS 2.The Index_Active.xls11.Small Claims Court PLAINTIFF’S CLAIM:12.Plaintiff No.112.Plaintiff. 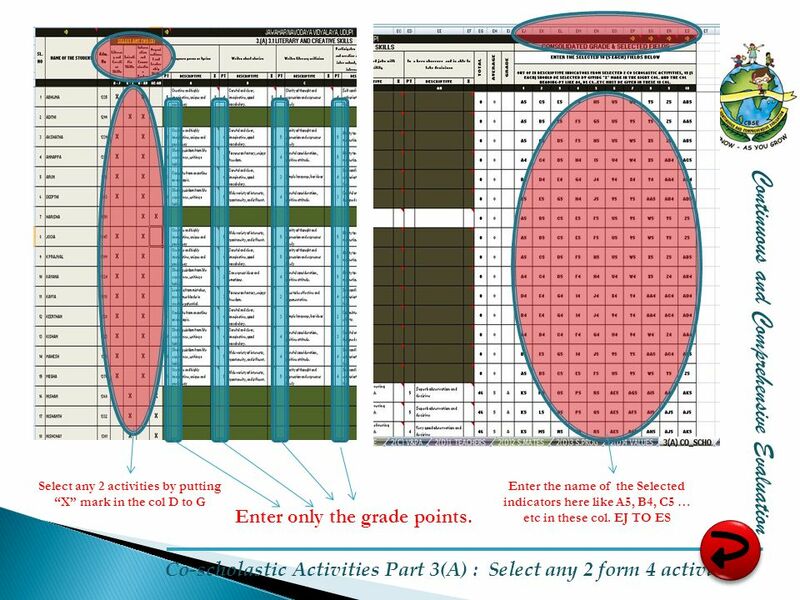 6 th Annual Focus Users’ Conference 6 th Annual Focus Users’ Conference CTE Attendance & Gradebook CTE Attendance & Gradebook Presented by: Natasha Leon.